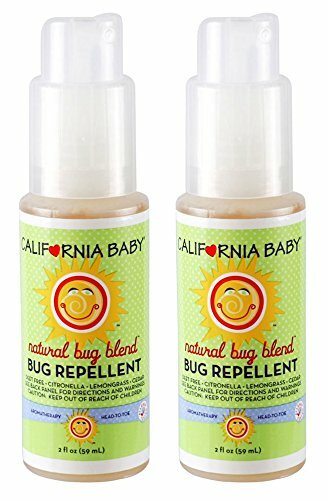 Keep bugs at bay with this travel-sized spray that's safe enough to use directly on your child's skin. Citronella, lemongrass and cedar essentials oils are natural bug repellants. They smell good to us, but not to flies, mosquitoes and other biting insects! If you have any questions about this product by California Baby, contact us by completing and submitting the form below. If you are looking for a specif part number, please include it with your message.